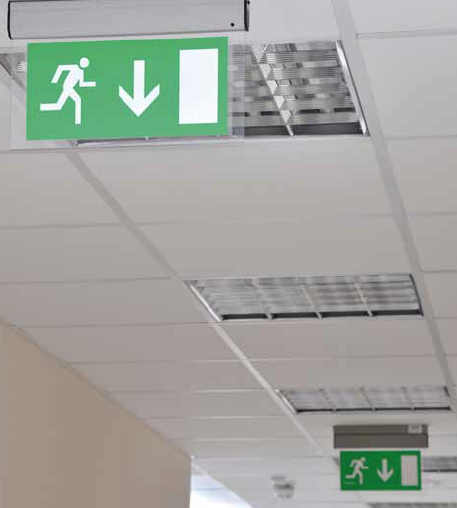 BY DEFINITION, EMERGENCY LIGHTING IS INTENDED TO PROVIDE ADEQUATE ILLUMINATION WHICH WILL ENABLE PEOPLE TO SAFELY EXIT A BUILDING IN THE CASE OF A FIRE OR MAINS POWER FAILURE. This necessitates using a tried and tested product, installed by qualified individuals. All of our products conform to Bs 5266 – the code of practice for emergency lighting of communal areas. 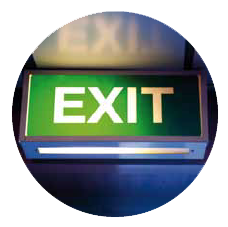 We can also offer additional escape lighting in locations such as exits, stairways and fire assembly points. Your tenants’ safety is our number one priority. Communal lighting assists the safe entrance and exit of a building regardless of whether an emergency situation exists or not. Of course, it can also provide a deterrent to anti-social behaviour or potential intruders. As with all areas of our business, we can provide you with a free site survey, our recommendations and a no-obligation quotation.